Usually Samsung is always late runner in pushing to updates of Android. In most occasions they are the last to deliver the updates for the Operating System. The situation has changed atleast in the case of its flagship smartphones but not drastically. When it comes to their tablet, they are somehow reluctant to deliver the latest version of Android OS in their new models. They started to introduce tabs with Android Lollipop 5.1 very recently only. But all these precedents have actually changes in the case of Galaxy Tab S 8.4. The Samsung is now actively pushing for the update of Android Lollipop for its flagship model of Galaxy Tab S 8.4. The earlier OS that ran the device was KitKat. But the users cannot clearly visualize the actual changes happened in their handset after the update has taken place. This is because the TouchWiz conceals the mainstream changes made in material design that new update of Lollipop offers. This actually does not mean that the changes are not noticeable. Users could find an innovated multitasking menu which offers much more improved features when compared to older version of KitKat. Also Lollipop version 5.0.2 also provides improved notifications system for its users. The update will also result in performance improvement of the gadget when compared to KitKat OS. As there is darker side for every brighter change, the new update will invite certain bug issues that prevailed in Android 5.0.2. Unfortunately these bug issues have been resolved only in the new version of Lollipop 5.1. In short the users who update their device to 5.0.2 will have to suffer from certain bug issues. The fortunate ones to get the update first are the users in South Korea. 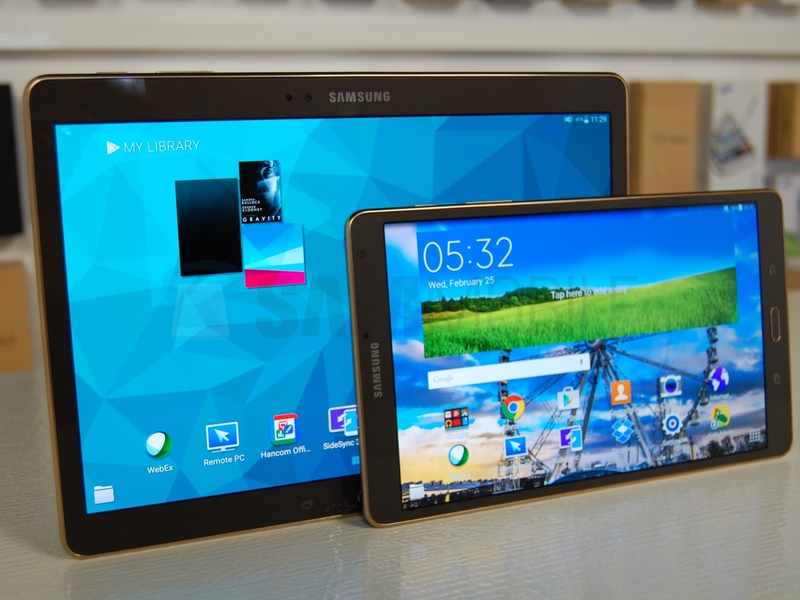 Samsung have introduced two different variants of Tab S 8.4. One model supported WiFi connectivity and the other with LTE connectivity. For the time being the update is available only for WiFi model. The LTE variant users have to wait for some more to get themselves updated. When you get your gadgets updated you will be operating on Android 5.0.2 Lollipop with build T700KXU1BOD4. The update for users of other parts and also for LTE users is expected to be available soon. If you are so impatient of waiting, you can download and have it installed in your devices with the help of Samsung Kies. Kies is desktop software provided by Samsung. Even though the update has certain bug issues it performs much better than the earlier available KitKat. So it can definitely deliver an improved experience to the users of these gadgets.